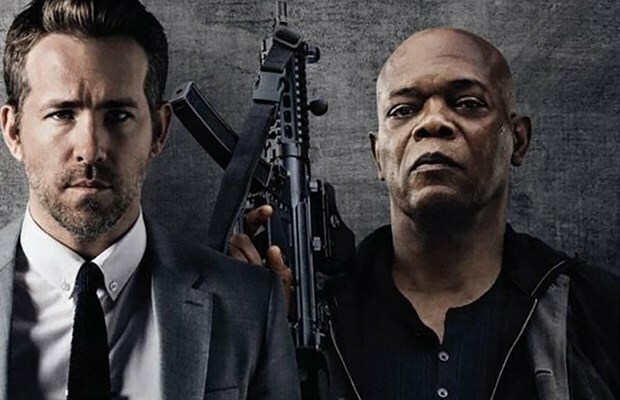 The Hitman’s Bodyguard | John Caldwell – Chairman, Entertainment Reporter, Australian of the Year in Victoria 2014, Author, Film and TV producer. Read John Caldwell’s blog, see photos and keep up to date on the latest news. Official John Caldwell site. This film is a surprisingly funny and entertaining take on the typical dreary action film, but making no mistakes it certainly quenches the thirst of action film addicts. Based on arrested hitman Darius Kincaid (Samuel L Jackson), Kincaid has done a deal to testify against a former leader of Belarus for inhumane treatment of his people in the International Court of Justice. Getting Kincaid to the courthouse proves a challenge even for Interpol’s best and brightest as they are intercepted and taken down in an effort to stop Kincaid from testifying. Not sure who to trust, one savvy Interpol agent engages her former love interest who’s a disgraced and former high profile bodyguard, Michael Bryce (Ryan Reynolds), to take care of Kincaid and to get him to the court within the three day deadline. The two embark on a journey dodging bad guys every step of the way. I honestly can’t tell if it was meant to be an action film or a piss take on an action film but either way, I loved it. Initially, the odd couple spend as much time almost killing each other as being killed but as the cliché would have it, they end up bonding and becoming unlikely friends. I don’t feel I am spoiling the ‘plot’ as you can tell from the very beginning of the film that this was going to be the outcome. The plot - if you can call it that, is far from riveting or original and has been slammed by critics and in my defense, what on earth were they expecting when you put two actors like Reynolds and Jackson together? I for one, was pleasantly surprised at the chemistry the two shared and the comic value mixed in with an enormous amount of blood spatter. The movie boasts Selma Hayek as Kincaid’s rather unorthodox wife and, whilst her name is on the poster and might sell tickets, she plays little more than a cameo, but she makes it count! Selma’s character is possibly the funniest role I have seen her play in and brings a whole different dimension of comedy to the film. This is outstanding considering her total screen time is less than 10 minutes. The stunts are also a major draw card for this movie. Whilst they are over the top and at times almost comical, they are extremely well done and add some extra energy to the story. The soundtrack is also flawless, with every song perfectly selected for the scene. I would go as far as saying it’s one of the most appropriate soundtracks I have heard in years and I might just download it. My only bug bear in this film is Jackson’s use of his trade mark “Mother F*&%$#” and not because it’s not funny, it certainly is. However, when I asked him about the use of the phrase in a recent interview, he was offended to be known for it. Let’s just say I lost count after the 30th time I heard it in this film, so Jackson might want to rethink being offended. All in all this is a brilliantly funny and action packed film that will keep you entertained the entire way. If you’re anything like me, you will definitely love the little bit of fart humor mixed in too.